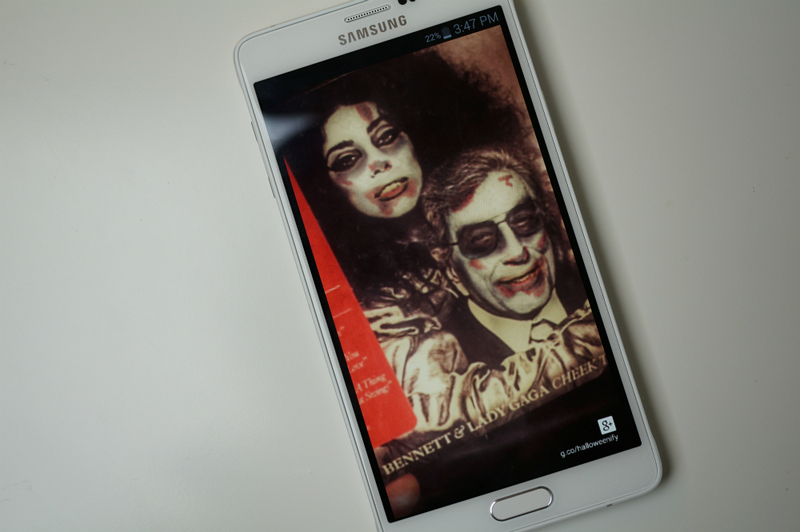 To get into the Halloween spirit, the Photos app from Google+ is now Halloweenifying your photos, allowing you to create your very own spooky scenes or scary portraits. Creating your own Auto Awesome photos with Halloween effects is very easy. To start, open up the Photos app on your device, then hit the three star button in the top right corner. From there, select either Spooky or Fun Effect. Then, choose your photo. Once you hit “okay,” Google+ does its magic. Once you are all done, you can share the photos on Google+, email them, post them to Facebook, or do whatever you want. As you can see below, I had lots of fun with the app. I even decided to zombify Lady Gaga and Tony Bennett. Sorry, Tony. Check out a few of my very own examples below.